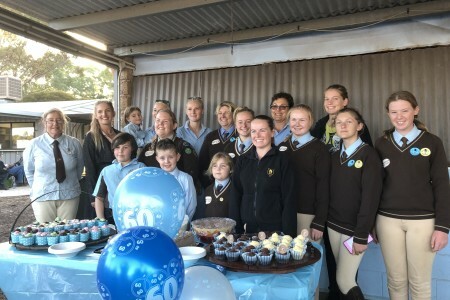 Recently Gawler River Pony Club celebrated our 60th Birthday. 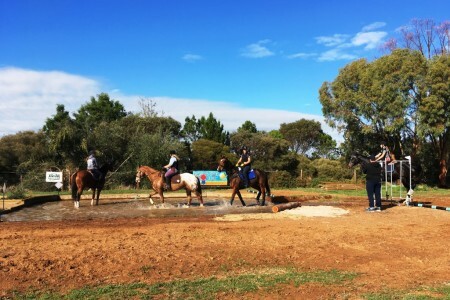 The club has been around in the Gawler Area catering for the needs of local horse owners and riders, offering them education and assistance as well as friendship and comradery. The Pony Club movement is alive and well all over Australia. Pony Club Australia is coming up to their 80th Birthday too. On the 9th February we invited founding members and past presidents and other VIPS to the club for a BBQ. It was also our first rally back after the summer break and members attended with their horses and ponies showing the visitors the skills and capabilities of the current membership in dressage and show jumping. We had nearly 60 attend that night and a good night was had by all. Dianna Birmingham the clubs chief instructor and vice president of PCASA was in attendance saying it was great to catch up with those members who hadn’t been there for some time. The founding members were elated to see the club they had started so many years ago was still operating. The club started at Newbold Stud in Gawler in 1959 moved to Clonea park and moved again to it’s current location at Hillier. The club is always looking for new members and are always encouraging new people to come along to see what we do. Gawler River members hope to compete at the Zone Championships as well as the state competition in October. We encourage riders of all ages. Our current membership span the ages from 4 years old to 65. Our next major event on the calendar is our One day event on the 24th March open to riders from all over the state and then we have a dressage school weekend with the renown dressage Instructor Helen Barnes in April.